At present, we offer two different courses: Presenting Art History and Mentoring. Introduces Art History to 20 students from local state-maintained schools. Includes 8 workshops ranging from ‘Creative Responses to Art’ to ‘New Perspectives: the feminist view’. Pupils develop self confidence, creativity & critical thinking. Course concludes with pupils giving 10 minute presentations on selected works of art. Harnesses energy and enthusiasm of sixth-formers, matching them to mentees in partnering primary schools. 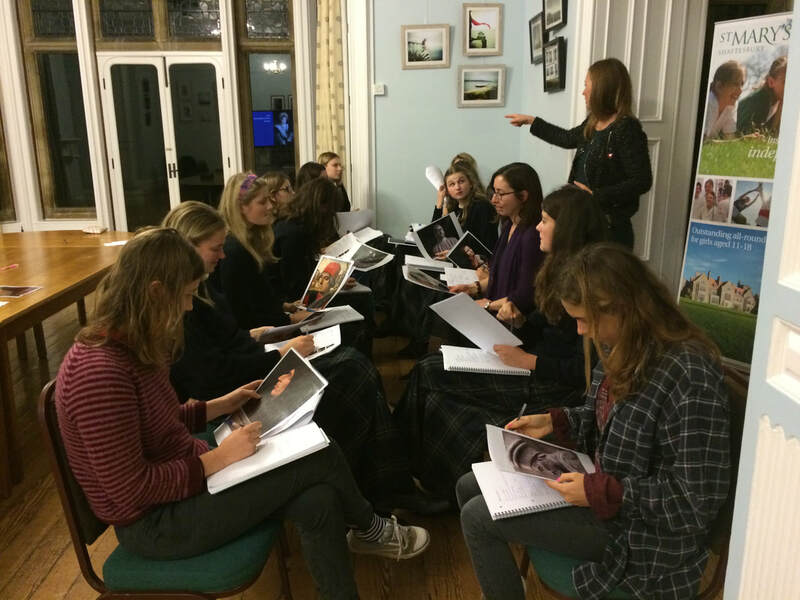 Over 8 sessions, our tutors lead mentors and mentees through a variety of activities aimed at developing their critical and creative thinking and presentation skills - at the same time as introducing them to concepts and figures in art and architectural history. Includes trips to local museums and educational institutions. The Bigger Picture believes that successful enrichment is about developing and extending a student's outlook which takes time, energy and commitment. To this end, we are essentially a consulting practice and aim to work on a subscriber model, ideally with a 1-3 year budgetary period. During this time we will create, manage and deliver a varied enrichment programme on as many topics as you choose, incorporating sessions both inside and outside the classroom. With time we create a strong partnership with staff and students alike, and can bring about long-term enrichment.